Your go-to source for automotive expertise. 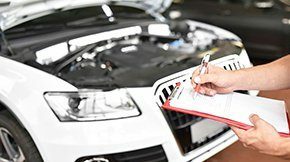 Find out how much your vehicle's maintenance service or repair should cost. The clear choice for for many of life's accidents. AAA's new Service Tracker provides live updates on your AAA driver's location. Halt a dead battery before it stops you. Save Money. Save Time. Extend Battery Life. Check out gas stations and their current prices near you. The latest industry discussions and questions answers. Save 10% everyday with NAPA Auto Parts & accessories! The AAA Green Car Guide ranks cars from highest to lowest based on a total point score. Balance your budget and get that new car today. As a member of AAA's corporate family, we know a little about cars (all right, we know a lot) and over the years, we've learned how to help our members save, too. 24-hours a day to get you back on your way. Use the AAA Approved Auto Repair Facility Locator search tool to access over 7,000 AAA approved facilities. AAA Driving School: Create lifelong safe drivers. Use this portal to schedule driver’s appointments and lessons, review your account, view your driver’s course, and make a payment.